"On 15 September 1963, the Ku Klux Klan planted dynamite in the basement of the 16th Street Baptist church in Birmingham, Alabama, a church that previously had been the headquarters for Martin Luther King’s anti-segregationist marches. The bombing killed four girls getting ready for Sunday service – Carol Denise McNair, 11, and Addie Mae Collins, Cynthia Wesley and Carole Robertson, all 14. Within hours of the bombing, across the city, two African American boys, Virgil Ware, 13, and James Johnny Robinson, 16, were murdered by two white men returning from a segregation rally. 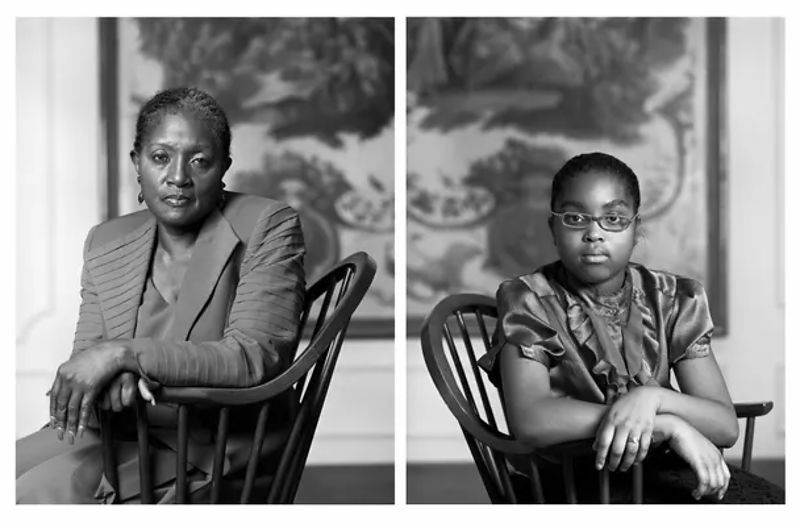 Chicago photographer Dawoud Bey (born David Edward Smikle) has paid tribute to the victims of the attacks, which were a turning point in the civil rights movement of the 1960s, in a photo series entitled The Birmingham Project, which is currently on view at the National Gallery of Art in Washington DC until 24 March 2019."